All stats +5, drop item bloody rune (7563) by small percentage. 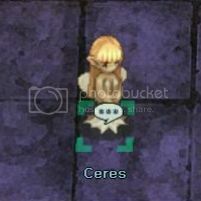 Take this list to Ceres who is shown below and can be found at mystic_shop 17 133. 1 You can make dyes relating stuff at morocc_in 144 100. He is standing next to the official dye maker, Java Dullihan. The easier way to hunt Detrimindexta and Karvodailnirol is through Removal at lhz_dun01. 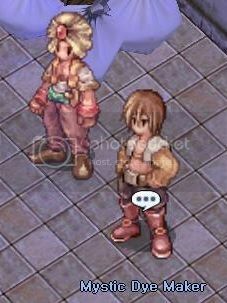 2 Holy Thread is an item that is obtainable through the official RO quest, Ayothaya Dungeon Entrance Quest. You are only need to do the first 3 steps. It is necessary to carry 50 of Needle Packet (Item ID# 7213), Spool (Item ID# 7217), Solid Husk (Item ID# 7190), Holy Water (drop-able from Merman, or get a character that can use Aqua Benedicta skill) beforehand to make your life easier. You will have to talk to the Shaman 50x. 3This coin is made at the Coin Exchanger. Poring Coin is worth 100 Million Zeny, so you'll need 100 Million Zeny to make 1 Poring Coin. 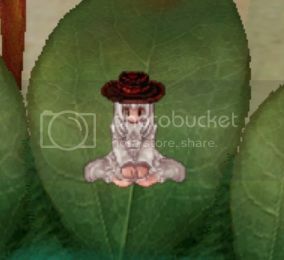 He is found at mystic_fore 170, 251 and is show below.